Eco Del Sur is a music performance group consisting of Latin American artists from various musical backgrounds who are united to explore and perform ancient Andean music as well as contemporary music from different Latin American regions. 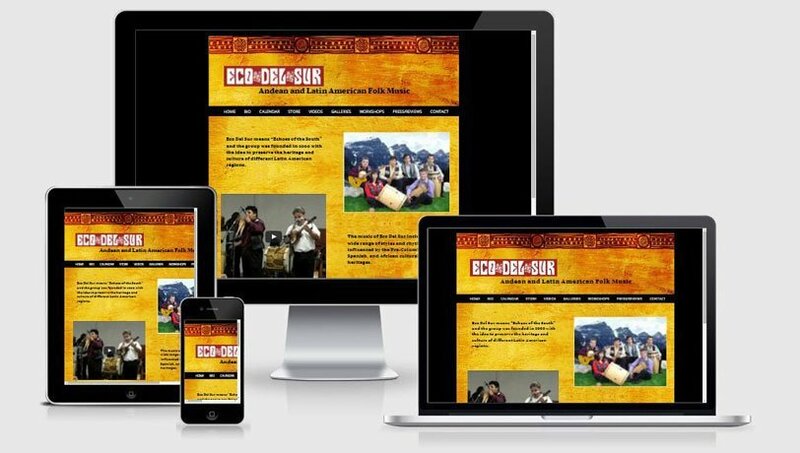 Jorge Gomez, longtime leader of Eco Del Sur, contacted me to help them put together a website to allow them to provide information about the group and their upcoming and past performances. The site was to be rich with information and imagery, including calendars, a store, videos, photos, newspaper clippings and reviews. So that’s what I created for them, and they were pleased with the results. I am so glad that I found Bonnie to work on our new website. She created a professional website at a price that we could afford. Bonnie collected all of our ideas, guided us through the process, and provided many suggestions to improve the site. We worked with other web designers in the past but Bonnie's experience and ideas helped us to create a website that everybody is pleased with. It was a joy to work with her and we will continue to use her services to update the site. I would highly recommend her services to anyone looking to establish a personal or business website.